Where should you put your money when buying a new DLSR? – Hey there, I'm Gabriel. At a recent dinner, my good friend Christian mentioned to me that he wants to take up photography as new hobby. After I raised my eyebrow in curiosity, I asked why. I nodded. That’s a good point. He is already using a phone with 24 megapixels to take pictures of his freshly washed car and medium-rare ribeyes for Facebook, not to mention he makes plenty of money and takes trips around the world consistently. With a little technical training he has the opportunity to get some really amazing photos of places I will most likely never be able to see first hand (he is already planning a trip to Italy, after just getting back from a week in Columbia). 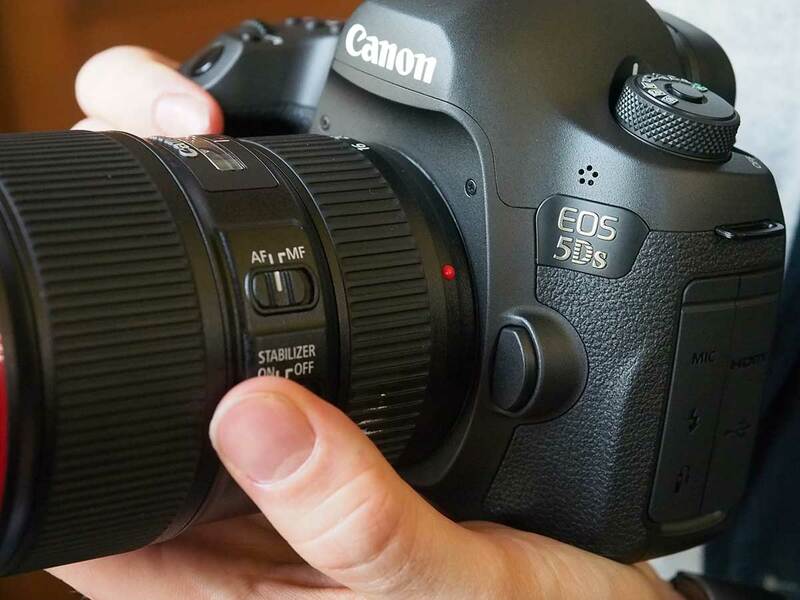 At first he told me “I already have the camera picked out too, I’m getting the Canon EOS 5DS… ’cause it has 50 megapixels”. I didn’t know what to say to that. Thank god for Google because I was curious…. what’s the price tag with that model? At the time I am writing this it is a whopping $3699… for the body. For those of you who really know me I don’t have to explain that I am VERY cost conscious when it comes to tech purchases, and camera equipment is one of those places where if you don’t spend your money in the right places, you will kick yourself in the soft stuff later. Needless to say, I immediately told him to pull back on the reigns. Let’s take a quick look at what a 50 megapixel camera will actually entail for a novice photographer. What exactly is a Megapixel anyways? What megapixel means is that a camera can capture 1,000,000 pixels per image. Therefore, a 22 megapixel camera can capture 12 million pixels per image. So does that really mean that a 50 megapixel camera is just the most amazing thing that could be purchased to date? I mean, sure… 50 million pixels to work with (as a Designer) is an AMAZING thing to have your hands on (the Photo-shoppers in the crowd are most likely salivating just hearing about it), but who the hell actually NEEDS that much data to work with? The only reason to keep a 50 megapixel camera at the ready is if you are the kind of photographer that is cranking out photos for massive billboards. I bet that 95% of photographers out there will agree with me that it might be nice to have the option, but honestly… do you see yourself using that many massive photos? Most photos (especially for amateur or starter photographers) are not going to be print worthy anyways… at least not for the first year or so if we are being realistic here. It take YEARS to develop the kind of talent to become recognized as a photographer in the industry, so at first I bet your photos are going to end up on social media sites, MAYBE printed out as 4″ x 6″ (or god forbid up to a 24″ x 36″) for your wall. You do not need to drop 4 grand on a camera to share photos on Facebook. Do that crap with your phone. Put your money in the LENSES, not the body. At the end of the day, you are going to replace your camera body over and over and over again as the newest models come out and the prices drop. However, once you purchase a lens… you will keep that thing forever. Talk to any professional photographer and they will tell you the same. Put your money into your lenses… that is where you will get the photos you want, not to mention you will keep them for a very long time. You will want (eventually) every kind of lens. Wide, Fisheye (please, for the love of all things holy, don’t use this too often), Primes, Telephoto Zooms, Macros… the list goes on. This article is a pretty good starter read if you don’t know what those lenses do. When you are buying your camera, try to kit one with a few kit lenses. 24-105mm and a 70-200mm is a great start, and they won’t cost you an arm and a leg. I would personally much prefer to have a bunch of lenses with a lower megapixel camera (so long as you get one that good ISO controls so that you don’t have super grainy shots every time). For me, all I need is around 24 megapixels, good ISO controls, and lenses that give me good f-stops. The rest is honestly noise to me. 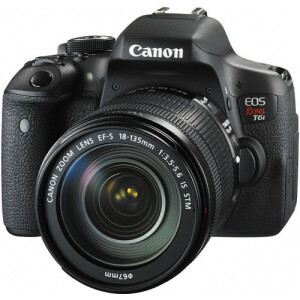 I can’t imagine where even I would use 50 megapixels for any project, and I would much rather buy a camera like the EOS Rebel T6i four around $1000 (notice that it comes with an 18-135mm lens right out of the box), and spend the other $2500 on a bunch of lenses to use with it. Another thing to remember when you are buying your DSLR, you will want a nice bag, plenty of SD cards, and maybe even a nice tripod (strongly suggested).